As a rural homeschooling mother, I live a very non-glamorous life. If you stop by our house on any given day, you are a lot likelier to find me checking math assignments or mucking out the chicken coop than writing. I have no writing space of my own. I work on the family computer, which is located in the living room and from which I am constantly dragged away by sibling squabbles, sinkfuls of dishes or midnight exhaustion. So how do you work on your book when you literally have no time to write? Not because you are addicted to computer games, or to Game of Thrones re-runs, or because social media takes up 90% of your leisure time? I will share what works for me, and you are welcome to take it or leave it. 1. Gestate your story. Books might be born the moment you put pen to paper (fingers to keyboard), but they are gestated within your head. It's really like being pregnant; for a long stretch of time, it seems as though nothing is happening, while in fact, things are bubbling and transforming and growing under the surface. Nobody can prevent you from thinking, planning, dreaming, living out your story while you do mindless tasks such as washing the dishes or chopping up potatoes. 2. Outlines are your friends. If you just count on winging it when you sit down in front of the screen, you will inevitably lose time on dawdling and thinking what it is, actually, that you want to write. If you know exactly what you want to do, on the other hand, you just sit down and do it as soon as you have a free snippet of time, however short. You'll be surprised at how many words you can type out in fifteen minutes if you know exactly where you are heading. 3. Don't dawdle! Don't waste you time by saying to yourself, I only have ten minutes now, so I might as well check Facebook. No; these ten minutes might be all you have in a day for creative writing. You can squeeze in a few hundred words in that short time - just experiment and see if you can't, writing top-speed. I carved out hundreds of thousands of words from those niggardly, hard-earned minutes which could be interrupted any moment. Don't expect the luxury of having uninterrupted peaceful hours for writing. Tough luck if you don't have them. I sure wish I had. But I don't, so I make do with what I have. To get more writing advice for those who are suffocating from lack of time, check out my FREE e-book, Writing Tips for Busy People. It is easily downloadable from Payhip and you are welcome to share it with other authors. Disclaimer: it really is better to allow for at least some kind of budget to produce and promote your book. A moderate, judiciously invested and wisely exploited sum can pay off very quickly, as seen in the example of fantasy author Alec Hutson (author of The Crimson Queen). If a book is really a good one, a little $$ nudge helps to create a snowball of interest so that very soon, people begin discovering it by word-of-mouth recommendations - the oldest and best kind of promo, but you do have to work a bit first to get there. So those of you who do have some spare money, forego that new bag or your weekly Starbucks latte and invest in your book instead. Some of us, however, are really in the trenches, financially speaking. We personally are currently experiencing a very, very economically unstable situation, as a family. We make do with old clothes and shoes. We scrimp on food. We think ten times before driving anywhere to save on gas. I'm not saying this to evoke pity or, God forbid, to compel strangers to offer us money, but only for an example's sake. I really, truly have no money to spend on professional book production or promotion. This might change, and I hope it will change, but as of now I'm operating on zero budget. I know I'm not alone, either. I've heard some naysayers tell me that people who have no money for hiring a professional editor, cover designer, proofreader, Cordon Bleu chef, whatever, have no business indie publishing; that they have to wait until they do have the money, take an extra job walking dogs if need be, etc. But I'm a homeschooling mother of three young kids living in the boonies. We only have one car. None of my neighbors need babysitting or anything. I need to make money from home, and my only feasible way of doing so is by writing and publishing as an indie - with whatever means I have available. Once I do make some money writing, I can take from it and invest it into subsequent books, but not before. So basically, if I wait until I can do this "the proper way", I'm going to wait for a long, long time. Yet others say, "well, if this is the case, trad publishing is the way for you - the publisher will provide editing, cover design, etc". This is true, and I have experienced the benefits of it while working on my upcoming novel, Wild Children, with Mason Marshall Press. They swooped upon my poor manuscript, mercilessly ripping it apart and punching it into shape. I didn't have to worry about cover design or formatting. But traditional publishing moves at a glacial pace; it takes time to query, get an agent (or even get a publisher, sidestepping the agent), wait while your manuscript is read, edited, formatted, prepared for publication, etc. Your publisher will always have other projects to work on. Nobody is as eager as you are to get that book out into the world. Furthermore, not every book is traditionally publishable. In short, many books wouldn't have seen light at all if not for indie publishing. So let's assume you're an indie writer on zero budget. How do you go about this, while being committed to giving your readers the best product within your means? 1. Editing: endlessly combing through your manuscript isn't enough. Participate in critique groups, get beta readers and take a good, careful look at any constructive, intelligent advice you receive. Thank people profusely and prepare to beta-read in return. 2. Cover design: this can be a sore point for indie writers without any very impressive artistic skills. I was very lucky to discover Katie Cody, whose covers are not free but very affordable. Katie also has a knack for hitting on the very thing I need in a cover, without me even being aware of it. At worst, take advantage of an online design model such as Canva.com. Just remember, if you are no artist but are forced into designing your own cover, keep it simple. Any excesses will only expose lack of skill. Also, pay attention to image copyright. Free images can be found on Pixabay and other sites. Look for images marked as free for commercial use. 3. Promotion: it's extremely frustrating to think that a comparatively inexpensive ad or professional review could do wonders to boost your book sales, yet you don't have even that sum to spare. There are, however, free promotional venues that are open to you: social media (provided that you alert people to your book tastefully and without spamming), free contests, blog interviews, blog tours, submissions to free review sites. Contact book bloggers (reading their submission requirements carefully first) and, in general, reach out to people. Things will happen slower for your book if you are limited to unpaid promotion, but if you are consistent and, most importantly, if you do have a good book, you'll get there eventually. Criticism is an inevitable part of being a writer - or, at least, of being a published writer. Since opinions on just about anything (books, genres, plot lines, covers, pizza toppings, Donald Trump) vary widely, the more you put yourself out there, the more people there will be who are ready to jump up your throat and tear you into pieces. Be prepared. There's the professional rejection slips (or just long silence) of literary agents and publishers, of course, but we accept these as part of a highly competitive industry. A lot more difficult is dealing with people who actually have a bone to pick with your book (cover, blurb, marketing plan). For the most part, our writing is visceral, and any criticism might easily sound very personal. The key to surviving and keeping your sanity is getting the personal bite out of the equation. 1. Surround yourself with people who build you up, not tear you down. This doesn't mean always getting enthusiastic applause and pats on the head. But beware of comments such as, "this book is a tasteless blob created by a pathetic idiot with no talent whatsoever; this person should spare humanity and stop writing". Unfortunately, the writing world is full of petty jealousies, intrigue and cliques. Stay well away from it all. Bless the Block feature on Facebook. 2. Know your capabilities. Some days, you can glean something from a criticism or negative review; other days are just the wrong time for that. If you are going through financial difficulties, family troubles, emotional issues; if you are over-stressed and over-worked, give yourself a break. Tune out any negativity, even if you feel it's justified to a certain degree. Just keep a tiny mental note of it and dig into it on an impersonal level when you can deal with it. Example: if someone just left me a scathing comment about the way I write dialogue, I delete that comment, but later, when I feel I'm ready to deal with it, I find a good, friendly, well-rounded article of dialogue writing advice, read it, and apply it to myself with the view of improving - not making myself feel bad. 3. Hole up somewhere and write. This is what makes you a writer; this is what you love and do best, and this - done judiciously - is the only thing that will truly improve your writing. Getting torn down by negative critique won't do it. Allowing yourself to get into petty squabbles won't do it. Just keep writing, improving and growing. 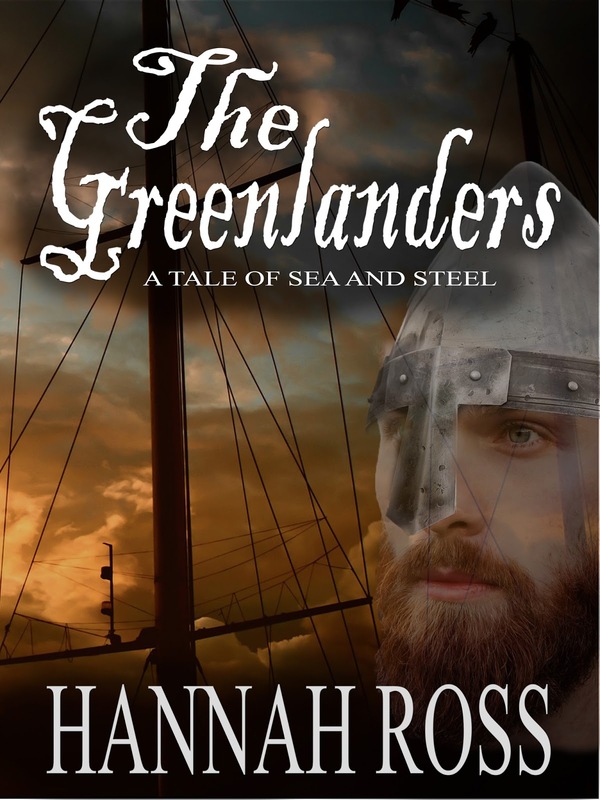 The Greenlanders: a new Viking-era novel now available! 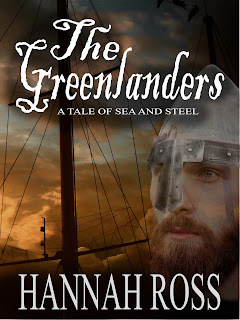 I am quite excited to let everybody know that my Viking-era novel, The Greenlanders: A Tale of Sea and Steel, is now live and available both in print and for Kindle - Kindle version is currently at a special limited time launch price of 0.99$. Cover design was done by the super-awesome Katie Cody, a designer I heartily recommend to every indie author to check out. It has been a long, long journey with this book - probably longer than with anything else I've ever written. Officially I began working on the first draft six years ago, but perhaps even a decade before that I had been fascinated with the story of Leif Erikson, his character, his fate and his discoveries, writing up short stories, poetry (some of which ended up in the new book) and juvenile novellas. When I heard of Tom Holt's Meadowland, my heart broke; someone had already written my book! But when I read it and saw how different my interpretation was, I decided to plunge onward anyway. The principle of killing my darlings was never as difficult to apply as here; the completed novel is 125K words long, and it would have been 150K if I hadn't determined on culling one entire part, at the advice of a honest friend and my own introspection. I hope this book finds its way to the heart of lovers of the Viking era, Icelandic sagas and everything medieval. 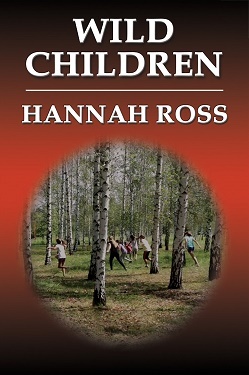 These are exciting days for me as I'm preparing for the release of my new novel, Wild Children, a dystopia set in a world where reproduction is strictly controlled and illegally conceived children are penalized for being born. My publisher and I made the decision of submitting the book to Kindle Scout, with the view of taking advantage of Amazon's extensive promotion opportunities if it wins. Each and every one of you can help me nominate the book. It is simple and done with one click on the book's Kindle Scout Page. All you have to do in order to be eligible to vote is have an Amazon account and be logged in. Please note that I am not asking anybody to vote against their conscience; but if you check out the book description and the first chapter and decide it looks promising, I will be very grateful for your support.